One of my favorite things to do at Convention is visit Memento Mall to shop for "my girls"...my Stampin' Up! downline. This year, as usual my basket was full. Actually, there were two baskets full! I surprised my team with their gifts at the Sparkles meeting this month and there were lots of happy faces. At Convention Stampin Up! challenged us to get out there and share what we love by offering the Stampin’ Up! opportunity to everyone. I love a good challenge especially when I know what I’m doing is for the benefit of others. 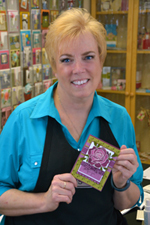 If you’ve met me, you’ve probably heard how I feel about being a Stampin’ Up! demonstrator more than once. It truly changed my life for the better. 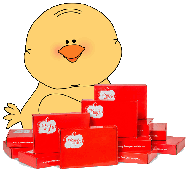 So, let me ask you…have you ever thought about becoming a Stampin’ Up! Demonstrator? You obviously love to stamp, or you wouldn’t be reading blogs about stamping. You’ve certainly purchased your fair share of stamping supplies, or maybe you’re just getting started. You’re probably like the majority of the nation and your pocketbook isn’t quite as thick as it used to be during these difficult financial times. You would enjoy saving money with every purchase, or perhaps you’re looking for a way to add cash to the family budget…just enough to send little Johnny to baseball camp, or cover a car payment. 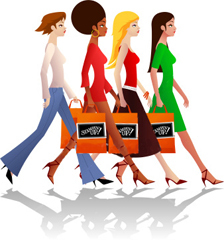 Did you know that on average by working one night a month as a Stampin’ Up! demonstrator you could add $100 to your bank account each month? That’s $1,200 a year. What could $1,200 do for you and your family? What could $5,200 do if you worked one night a week? We’re talking averages here, you could earn a little less, but you could earn even more! What you get out of this business is up to YOU! Take a moment to picture yourself meeting new people, sharing your love of stamping, building lifelong friendships, having “me” time with adults in a fun, creative atmosphere, attending Conventions with thousands of other crazy stampin’ men and women, making money just by having fun, or possibly surprising your husband with an all-expense paid cruise! It sounds unbelievable, but if it can happen to me, it can happen to you! Now is the best time to join the Stampin’ Up! family and in-particular, the Sparkles Team. You can become a Stampin’ Up! demonstrator for only $85 by purchasing the Mini Starter kit by August 31. Or, you can purchase the standard Starter Kit for $199 and receive an additional $43.65 in free products. That brings the value of the standard kit to well over $400. If that’s not enough, each new member of the Sparkles Team will receive 6 In-Color markers as a “Welcome to the Team” gift, one-on-one training, continuous support, and will be part of a group of incredible women. Don’t delay – Join the Sparkles Team today! Remember, the Mini-Starter kit and the additional bonus products are limited time offers. You must join by August 31 to take advantage of these fantastic deals! 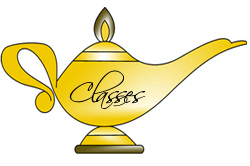 Learn more about what you can expect by joining the Sparkles Team! Okay, I'll admit it. I love celebrating my birthday. I'm sure it goes back to childhood issues, but besides Christmas and Thanksgiving, our birthdays were one of the few times a year that our parents made us feel special. My mother was one of those "children should be seen, but not heard" kind of parents, only I think she believed children shouldn't be seen or heard. How she ended up as the Mother of five children is beyond me! But she did make a big deal out of our birthdays and I still love the attention today. I don't even mind that it means that I'm a year older! One of my favorite parts of my birthday celebration since becoming a demonstrator is the beautiful cards I receive from stampers all over the country. I love opening up my mailbox and seeing hand-stamped envelopes that give me just a little sneak peak of the treasures inside. This year my downline surprised me with a little birthday party at our Sparkles meeting. Cheryl made this darling cake that I appreciated even more because it's gluten free! You know it's special when a friend bakes you a cake, but when it has to be gluten free, you know they really went out of their way for you. There were flowers, balloons, gluten free cookies, and presents too! All wonderful, but the best gifts were the wonderful cards they lovingly stamped for me. I've already shared the card from Cheryl and I'd like to share some more. This card featuring the Petal Pizzazz stamp set was given to me by Anne Axelson. I really like how Anne used the Rock n' Roll technique to create even more interest on the flowers. My buddy Erin stamped this fun card using the Crazy for Cupcakes set. I love cupcakes! I even have a collection of ceramic cupcakes in my kitchen that I'll have to share with you someday. This gorgeous card was given to me by Sofia Merida. Ahhhhh...so pretty and it uses my FAVORITE watercoloring technique! I love my Sparkles Team! I love having a downline to share ideas with. Each month our group gets together for swaps, business ideas, and friendship. The ladies step up to the plate and we work as a team. Marianne is in charge of the chocolate (considered by many to be the most important job), Anne tracks all the business news, and Cheryl is our creative genius and coordinates the swaps. The group really cares about their projects and creates cards that we can't wait to share with our customers. The Sparkles team is locationally (is that real word?) all over including out-of-state, so unfortunately not everyone gets to join us for the meetings. We have a special yahoogroup so we can all chat and some of the ladies attend complimentary Stamp Camps which gives me a chance to share new techniques. I feel truly blessed to have these ladies as my downline. I'm looking forward to sharing more with you about the Sparkles team as the ladies said that it's okay to share their creativity with you. Look for more card designs from these incredibly talented women coming your way soon! If you're looking to join great Stampin' Up! team I'd love to tell you more. Stampin' Up! is offering a fantastic deal through August 31. With the Mini Starter Kit you can sign up as a demonstrator for only $85. This is a terrific way to put your foot in the door to see firsthand all the benefits you receive as a demonstrator. Click on the Starter Kit button to see what is included. 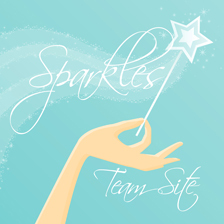 Then come back and click on the Join the Sparkles Team button in the right column to see why our team is the place to be! The additional incentive items are valued at $43.65 and are not substitutable. The standard Starter Kit is always an incredible deal, so this makes it an unbelievable deal in my eyes! WOW!